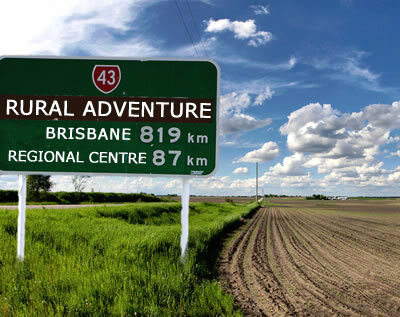 Well I'm about to set off on a Rural Adventure to the Sunny Shores of Yeppoon. Admittedly there are places far more rural than Yeppoon which is only a stones throw away from Rocky (aka Rockhampton), yet it's still nice to escape from the city for a bit. While some would shy away from the opportunity to practice Rural Medicine, I'm looking forward to all that it brings. The chance to get to know those whom I will care for and the wider community. To see and do things that I would be unable to do in an urban environment. Maybe I'll be using a power drill to relieve the pressure on someone's brain. Who knows. And if it's anything like this latest promotional video released from the UQ Med Revue, how could it not be fun. So hopefully once a week you'll be hearing from me about this experience. All the challenges, the moments of inspiration, and everything in between. And I hope you can share with me, my Rural Adventure. Next up on A Rural Adventure, the Health Project.